VIDI-AUTO is designed to help with learning, concentration and memory. 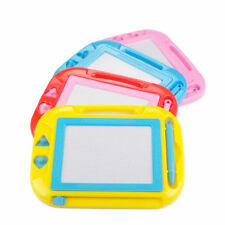 It is a new twist on the old memory card game. Instead of matching identical pictures, the player must match a vehicle to a corresponding location. The Galt First Octons is an ideal first construction toy. 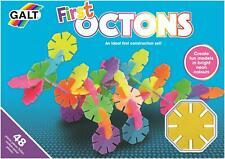 TheGalt First Octons is an ideal first construction toy. Children can follow the illustrated guide to make exciting models or design imaginative structures of their own. The Galt Junior Ball Run is a fun ball run with 15 brightly coloured slot-together pieces and 5 assorted balls to delight and entertain a young child. TheGalt Junior Ball Run is a fun ball run with 15 brightly coloured slot-together pieces and 5 assorted balls to delight and entertain a young child. 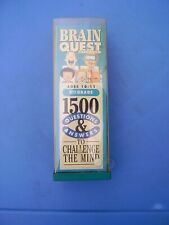 Brain Quest Lot. Pre-owned Sets, Cards are all in Very Good Condition with light to no wear. Travel edition does not seem to have been used and has a full pad of scorecards sheets. All 3 are Complete with no missing cards or decks. 5th Grade edition 2 separate decks One & Two. This is good for ages 3 . Brave Little Spot, ( a Dalmatian Fire dog) HC 1997. The Too Little Fire Engine, Wonder Books HC 1950. 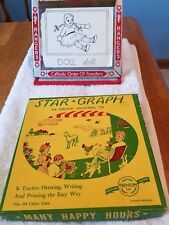 And…to go with the lot to be played with while you are reading your grandchild the books is the Fisher-Price No. 720 Fire Engine Pull Toy with an annoying Bell. Rock 'N Learn States & Capitals Rap includes Rap the states in alphabetical order, followed by the capitals. The States & Capitals audio CD includes a follow-along book with fun facts about each state. If you are looking for a bit of security with a hint of steampunk style, this is it! Assemble UGears Combination Lock and to get a feel of modern combination locks principles. Made of high quality plywood; assembly requires no glue or cutting. Celebrate this special event for each student and encourage reading. 2 x 6-1/2". New sealed. 2 to 6 players. Label student desks, lockers or centers in the room. Great for the beginning of the year, and for substitute teachers. Woodland Friends Look Whoo's Great! Badges by Creative Teaching Press. Terrific for encouraging struggling students or for rewarding when a goal is reached. Self-adhesive badge features a friendly owl hooting, "Look Whoo's Great!". Black flourishes and colored dots stand out against the crisp white background on this versatile, die-cut border. 2-3/4" wide. NOT TRIVIA 4 TRIVIA CARDS LAMINATED. 2 NOT TRIVIA 4 DIRECTIONS TO PLAY 3 DIFFERENT WAYS (TRIVIA, HANGMAN OR TIC-TAC-TOE). NOT TRIVIA 4. Disney Elena Avalor Puzzle in Tin. Carry on the fun with Disney's Elena of Avalor Puzzle in a Collectible Tin. Kids will love putting together this 24-piece Puzzle the durable pieces are the perfect size for little hands. UGears Tram on Rails is by far one the most romantic models in our catalog. The model is propelled by a rubber band engine (tram mode) or can be pulled by gravity (funicular mode) when one end of the rails is tilted up with a special lever. This puzzle features beautiful graphics that depict favorite characters from the hit animated series, PJ Masks. The most popular characters from PJ Masks. Makes a great gift for any fan of Disney's PJ Masks. Add color to your room with these lightning bolt accents. Great for labeling desks, folders and tote bins, too. Condition is New. Focuses on rhyming words, word families, syllables, finding information and more. Are your or a loved one experience anxiety, loosing focus or quitting a bad habit?. Ugears U-fidget-tribiks are here to help! A set of 4 individual miniature models – Sports Car, Tractor, Truck, Tram Car – are ideal for relieving stress, gaining concentration or just to keep your hands busy. This colorful and unique 22-piece set contains nine pre-printed behavior clip chart pieces, one customizable blank behavior clip chart piece, two blank labels, six desktop behavior clip charts, a "Make Wise Choices" header sign, a "Stop, Think, Act" sign, and two emoji face accents. The Paw Patrol tin tin box is embossed with favorite Paw Patrol characters, including Marshall, Rubble, Rocky and Chase.Get your little one ready to go back to school in style. Paw Patrol Puzzle in a Tin. The puzzles are double-sided so there are 50 clock puzzles in total. Made of high quality plywood; assembly requires no glue or cutting. 6.9 x 3.3 x 10 in. 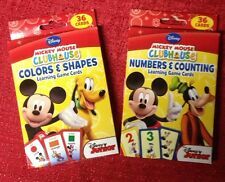 3 activity cards. Missing one activity card. Pre owned excellent shape. Moomoo market.